"My etsy shop, Gingiber, offers cute prints to adorn the walls of your home. I offer note card sets, fine art prints, and holiday cards! 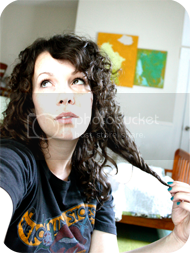 My blog contains the ramblings of a girl with a small dream to create artwork that makes you smile! 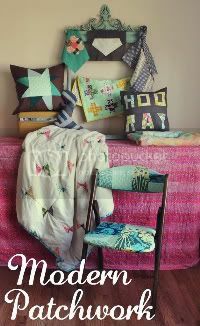 I am always on the hunt for unique home decor, tried and true recipes, and work from other artisans that inspires me!" 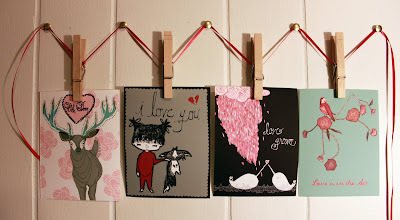 Stacie is offering this giveaway of a set of 4 Valentine's Day Mini Prints! These prints are of her original illustrations. They measure 4.25x5.5 inches. Each print comes with a crisp, white envelope. This set is valued at $20.00. All you have to do is leave a comment telling us what you are wearing today! Easy! Winner will be picked on Saturday so come back and visit! p.s. 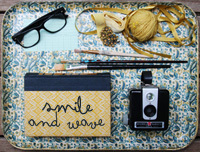 Thanks SO MUCH for all the votes in the Crafter category over at Poppytalk! Today I am wearing plaid Toms, boyfriend jeans, and a vneck. It was 70 degrees outside today! It felt like spring! black leggings and a cute spring-ish yellow flowered dress I just got from target oh and lots of sweaters! it's cold in va today! Today I am wearing a loose flowy white top and my black shorts with new black sandals because it is SO hot over here in Australia! Today was a rainy day / busy errand day, so I just am wearing jeans and a big comfy green sweater. wearing plaid toms too! go toms. although never a smart choice on rainy days. TODAY i was dressed in black high button pants, a turquoise top with a choker button, and red chunky jewelry. It's my new favorite color combo! Sooo cute! I'm wearin blk leggings, red long sleeve, blk tank tunic & of course fuzzy warm socks! Dark jeans and a tshirt from Old Navy. And a baseball cap because my hair is dirty. I am bundled in jeans, a striped sweater dressed, a black sweater over the top, a white beret, and red flats! Today I wore my true religion jeans with big white stitching (a consignment store find that ALWAYS get compliments), and a blue tank top with a cute white hoodie because it is raining REALLY hard in Arizona right now. Today I had on a favorite old espirit shirt with jeans and a red cardigan. I love cardigans. But do you remember old school espirit? Do they even have espirit anymore? Green top (nice and loose and comfy), jeans and of course uggs to brave the aftermath of our ice storm yesterday! Not nice out! Thanks so much for the give away! Blue jeans, t-shirt, my new favorite red hoodie, and my handmade (by me of course) patchwork-minky backed scarf, and the ever present mom of two pony tail. Right now, striped pj pants, trouser socks, long sleeve shirt, and a random scarf. So yes, I look amazing. It's late here so I'm in pjs. My favorite black tank top with orange and pink pj bottoms my sister gave me for xmas. I just got home from my client site (Mayo Clinic in Minnesota) so I am in my work clothes. Black trousers, white tank, and pink cardigan over it! Today I wore a black shirt with a black high waisted skirt that flares, black leggings, black boots, grey cardigan and a silk leopard print scarf. I work at home. Wasn't feeling so great today and worked in my pajamas all day long. Nice. I'm in my pjs....and they totally don't match! :) green and white striped shirt and brown pants! Aaaah! today i am wearing simple things. Comfy (but cute!) jeans from american eagle, a delicate lacy cami, a warm zip up, and my crocheted granny square slippers! I'm wearing a white v-neck i stole from my cute boyfriend, a navy cardigan, comfy jeans and my toms. this is a wonderful giveaway. love your prints! I am wearing fleece Christmas pajamas from old Navy and my black cardigan left over from a long work day! I attached flower petals and needled in a few cute gray buttons to the cardigan so at least my nightly blogging is in style...sort of. Right now I am semi in bed clothes in a gray long sleeve target shirt, my dark skinny jeans, and my moccasin slippers. Love, love, love the print set! Today i'm wearing my new alice in wonderland shirt...and some jeans, and socks! well thats easy! skinny jeans, organic cotton knee highs, classis black and white striped shirt and an old old red hoodie... with the valentines brooch i made the other day! this are great cards! today i wore a new-to-me london fog camel trench coat that i got at the thrift store this weekend for FIFTY CENTS! its in really good condition and it came with the liner. it was so perfect for the cold rainy weather we had today. Oh, these are gorgeous! I especially love the one with the whales. I'm wearing PJs right now. Penguin pants and Cocoa Puffs shirt (always mismatched...). I'm wearing a Bob Marley shirt and my slipper boots. Gotta keep the tootsies warm! I'm wearing a navy and white striped shirt with a black mini and black tights. Who says navy and black don't go together?? aw,those would look great framed and hung on my wall <3 oh, and i am wearing a dress today! it's grey and looks like it's from the 50s. along with cardigan, tights and boots, it looks really pretty. plus: it is one of my goals in 2010 to wear more dresses! I check blogs before bed so I'm wearing my pajamas! Earlier I was wearing a purple tee shirt, jeans, and a pair of Tom's shoes from a style your sole event with lovebirds on them! Haha, lucky you got me on a cute day! Lovely give away! So today I'm wearing gr´y skinny jeans, a darker grey longsleeve with a 3/4 sleeve dark blue top. Fake fur boots as well. It's still very cold out here! i have a floral-y/vintage-y dress, a little nana cardigan, jewellery from etsy andsome vintage button rings i made myself. I'm wearing jean leggings, black boots, a teal tshirt and a grey cardigan! But if I was planning on going outside today, I would have to wear a lot more because it's -2°c in the UK today! today i'm wearing a yellow hat, a green and blue plaid flannel, a gray cardigan, navy leggings, and brown boots! When I get ready for class, I will be wearing jeans with a aeropostale tshirt and pink AE sweater. those are lovely! I am wearing gray skinnies,a white tee shirt, a black & gray checked button up, & my black rain boots. Today I'm going to wear my orange/red dress from urban that tied in the back with a cream ribbon, a navy cardigan, and my uggs! I don't get very creative in this department. I am wearing a blue hoodies, jeans and athletic shoes. I haven't picked out my outfit today, but I'm betting it'll be black or maroon tights, a skirt, a cute t-sirt, my new Harlem Globetrotter wristband, and my Toms boots. After a long debate with myself about whether to put on actual clothes after showering or loungewear... I decided on loungewear! I'm wearing a black So So Glos band shirt with black adidas pants. And super cute aqua slippers! today i am wearing my fifi lapain shirt, my skinny leg levis, a cute cardigan in teal and my crazy hot pink doc martins they are kinda a staple in my wardrobe! teaching in the morning, parent conferencing in the afternoon. so i'm going with a comfy dress, some maryjanes & a big, chunky necklace. hoping to look pulled together but comfortable! Today I am wearing jeans with a green and white stripe shirt. And topped with a post office jacket. Its cold inside our office. I'm not gonna' lie, it's 6:40AM and so I am in a gray cardigan, t-shirt, and my rainbow- colored Deer-with-scarves PJ pants from old navy. I'm wearing whatever is clean! I do laundry over the weekend so by Friday, options are somewhat limited. Probably navy pin-striped pants and a cream turtle neck sweater. Yay business casual... not! I have to work today, so I have to actually get out of my jammies! Good thing it is casual Friday, so I can wear jeans and a swearshirt, it is still a little chilly in Missouri! i am currently in my undies and a bathrobe... since it is almost 9am and i am a little embarrassed to be in my undies still you have motivated me to get off the computer and get my day started. thanks!! Wish I could say it was something more stylish, but I'm wearing brown work-type pants (stretchy maternity) and a purple short-sleeved fuzzy knitted turtleneck...oh and tiger print socks. Cute prints! Great giveaway! Today I'm wearing jeans, a white blouse with red polka dots, a brown corduroy blazer, and oxford flats. Pulled together because I have to teach, but still fairly casual for Friday. It took everything in me just to get up for work today, so I went casual with jeans and a favorite v-neck hoodie. And flip-flops. Even though the high today is like 38 degrees. I couldn't help it. They were calling my name. Pajamas. It's Friday and I'm quite tired from a crazy week. These prints are too cute! 3/4 sleeve blue sweater with a light blue tank underneath, blue jeans and my sketchers! Well, I haven't actually got dressed for the day. I usually get up in the morning and eat breakfast and do some bookkeeping and then get dressed before baby wakes up..but what I'm wearing right now...the most comfortable black sweatpants every, a white tank top with a grey Forever 21 t-shirt overtop. ALso black shoes with ruffles. Nothing fancy. comfy pants (but cute wide leg ones), a red ribbed tank and my favorite embroidered cardigan. and grey knit fingerless gloves to beat the chill. I love those prints! Today I am wearing a long gray cardigan, white scoopneck tee, boyfriend jeans and black flats. Black slacks and a black and white geometric-print 60s-style jacket over a black tank. Black shoes, silver chainlink necklace, Swiss Military watch, wedding ring. Oh i love these- so pretty - today i am wearing a super tight sweater dress and a bow in my hair- lucky i have been working out. jeans, a sweater, and a scarf this morning... i couldn't decide what to wear since it's cold outside! LOVE these prints! Today I am wearing a hot pink tank top, grey cardigan with sequins, skinny jeans, and silver and white sparkly zebra print flats! It is going to be a beautiful day! wearing an old navy perfect fit burgundy tee with a yellow appliqued deer on skis! Paired with jeans and chuck taylors. That would be black leggings with a black babydoll dress and a very comfy, soft long cardigan sweater and my black boots. Must stay warm and dry today. These are so cute! I'm wearing yoga pants and an old tee shirt. Yup. i am... in my pajamas. I'm wearing a blue twirly skirt and a white t-shirt with a bow on the neck and some great leather boots. today on this cold cold rainy day in charlotte, nc I'm wearing a pair of red flannel pajama pants with sleeveless tattered nylon nightie and my husbands old large navy blue sweatshirt over it.. and... a pair of fake warm ugg like boots..and yes I did take my daughter to school in this (not getting out of the car ) but very ugly yet comfortable hodge podge throw on what's available outfit! I'm wearing a red dress, navy tights and grey boots with fringe. Happy Friday! I'm still in my pj's! Life is cray with 3 little ones. I don't feel guilty either! ha, it's 7am, so I'm wearing a leopard nighty and a hello kitty robe with monkey slippers. Today, I'm wearing a blue tank top and a black over-sized cardigan with jeans and plaid sandals. today i am wearing uggs covered in flower embroidery, skinny jeans and a brown tunic style shirt. all my jewelry is blue crystal tones. ha ha....oh i picked a great time to read your blog...i am wearing a hoodie and pajama bottoms...and my hair is a mess! Great giveaway love her prints! Today is my day off! So... that means I'm still in my pjs. If it was warmer in Minnesota I would love to wear a summer dress! I'll be changing into cleaning clothes very soon! I would love to be hanging these cute pieces of art next Friday on my next day off!!! Thanks for the opportunity! today I'm wearing comfy jeans, a graphic t designed by my awesome artist friend, a cartigan and red converse given to me by my one true love!....I'd LOVE to hang those prints in my home! Today I'm wearing a white tee, navy cardigan, and my favorite boots. It's an errand day! I am wearing a light and dark grey striped long sleeved t-shirt with a navy cardigan over it, along with darn skinny jeans and black boots. It's a cold day here in Phoenix, Arizona and I'm wrapped up! i'm wearing black skinnies, my best friend's beastie boys tshirt, leopard print flats, a black zip-up hoodie, and my black winter coat. dreary days always make me want to dress dark. i'm wearing jeans and a couple of layered black and grey tops, but i get to wear my new turquoise flats! cute shoes make me so very happy. Standard attire: Hat from www.brixton.com, black hoodie, skinny jeans, and black Chucks. I am dressed for all the rain we're having! I am donning skinny jeans, an oversized tee, black hoodie, and sheepskin boots. My office is warmer than it's usual freezing today so I'm wearing jeans, blue flats, a 70's-looking striped shirt under a navy cardigan with a hand-knit scarf and arm-warmers. I live in Los Angeles where we are getting dumped on by more rain than I've ever seen in my life. So for now I'm wearing my pajamas. Red plaid bottoms and a brown thermal. Nothing exciting. . .
To church today I wore a long green skirt with buttons and a buckle (it makes me think of a sailor suit =), a blue patterned shirt with an eyelet cream lace bolero over it, and a homemade headband. And black tights and my favorite ruffled heels =) It's my new favorite outfit. I've been loving the Ruby posts and your decor projects! I am wearing pj's all day! It's snowy and rainy in New Mexico so it's the perfect day to clean, watch old movies, and lay in bed with my dogs! Today I am wearing my new green plaid shirt with a long-sleeved tee and some roughed-up jeans. I heart casual Fridays! It's casual Friday..so today I'm wearing jeans, t-shirt, and sneakers! At the moment I am wearing hot pink sweatpants and an old OSU tshirt. I get a pass though because I am 38 weeks pregnant...so its completely okay to stay in sweats all day. Am wearing jeans and a Micky Mouse T-shirt today. it's warm down here in Texas! 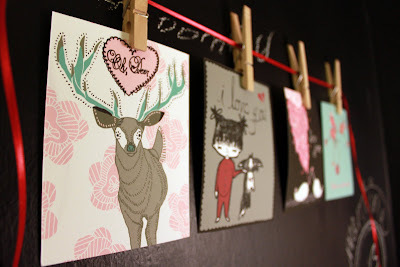 oh la la... lovely prints from a lovely blog. thanks. Today I won't up to 5" of snow so I am in my snow boots, black tights, and pink skirt and my black snow jacket with TWO scarfs! haha! My "go to" jeans, cute black flats, wickedly bright teal t-shirt and my cutest black cardigan, 'cause it is dang cold up here in Toronto! i'm still in my undies, and lululemon sports bra...... oops. lol, just woke up! I'll most likely wear the same old maternity pants, and some sort of oversized shirt... oh the joys. Eek! Those prints are too cute! :) I'm wearing jeans (yay for casual Fridays!) with cognac colored ankle boots and a white, peach, and gold striped sweater. PJs! i've yet to get dressed today... so dreary here. my cute new t-shirt from Myco Anna, a pair of jeans, my new red boots and of course my scarf, my gloves, my hat and my winter coat because it's sooooo cold in Canada today !! Today I am wearing black boots, jeans and a black shirt. simple and cumfy! Threadless t-shirt, khaki shirt, knee high brown socks, and Simple Shoes. Headed to the park, so nothing fancy! I live in Costa Rica, and lately it's been really really hot! So I'm wearing a short, black tiered ruffle skirt, a gray tshirt with lovely pink and white beading and embroidery (JCrew) and some studded black flats I'm in love with. Sadly, I'm wearing maternity leggings, even though I'm only 15 weeks along and not showing yet. Couple that with a heather green henley and some slouchy boots...and you have one comfy outfit! Skinny jeans and olive-green tshirt, dark brown leather flat boots,green mittens with purple button and a brown-grey beret. I'm wearing my mom uniform. Scoop neck t-shirt, jeans & a hoodie. I'm wearing a wool cardigan, and jeans, not going to lie, the jeans are not done up because my stomach hurts and i'm home sick from work. i don't look good today. I'm wearing a stocking hat indoors to hide my incredibly dirty hair...jeans and layers. I love working at home :). I am definitely in my pajamas with a sweatshirt- at 11:00 am. It is stormy here in southern california, so I might just stay in them all day! HA! what am i wearing. well i'm 21 weeks now and already feeling like i'm bursting at the seams... so i'm wearing leggings, a long purple LAmade tank, and a long grey tee over that. so stylish, lol. i am wearing jeans, ruffle front black shirt from target, fuscha tank top, black chucks and black glasses. m wearing my favorite bright blue hoodie (I love it cause it's SUPER long, and the hood is HUGE) a pair of yoga pants (Friday = Cumfy day!) and a shirt I got signed by my favorite band, Mother Mother oh and my favorite aqua and lime green Ponys! I love these prints. They'd be perfect for our bedroom ("feel the love") art wall. Purple short sleeved shirt with a black long sleeved shirt underneath. My favorite BKE jeans and black knitted ugg-style boots. sweat pants and a t-shirt! perfect for a lazy day at home! I'm just out of bed so I'm still in my "jim jams", just trying to steal a few quiet moments before the kids merge from their cave!! it's a 7up and couch day today... ugh! I am wearing my new favorite owl sheer top with a grey cardigan, skinny jeans topped off with my fav black sued boots. Today, I'm wearing a pair of tiny wale navy blue corduroy pants, a soft black t-shirt and a grey belted granny cardigan with black heels that have bows on them. Simple, cute, and good Friday wear. Today i am wearing jeans, gray vans authentic eras, and a black t-shirt that reads "head over heels in love"...plus giant diamond earrings. Today I'm wearing black leggings, a red plaid tunic, and some nice warm boots! It's freezzzzing in UT! today i am wearing turqouise tights, a black ruffled dress, a turqouise vest, and a charm bracelet that my two best friends gave me for christmas. i feel beautiful today because i find turquoise such an uplifting colour. Today I am wearing my skinny jeans tucked into my new black boots and a cute new colorful (navy,orange, baby blue, and gray) flowy top from NY &Co.
i have on jeans, target black flats, a acid green shirt with a black cardi! i should probably be wearing a coat though, it's too cold! today i am wearing a grey and white striped long sleeve with yellow trim and some dark wash jeans :) its cold outside! Right now I am wearing black on black Converse, with MUSTACHE socks, grey dress pants, white button up dress shirts, black suit jacket and a red tie. Sounds interesting, I know. Especially for a girlie. But if your boss says it's a must, it's a must. :) the mustache socks are my attempt at rebelling!!! I am wearing, a pair of lulus and a t-shirt, but I am just about to get ready, so it will not be this way for long! ummm, today I'm wearing sweats that I wore yesterday because I'm currently cleaning baby spit-up off of all my laundry..those prints are adorable! love these prints by the way! flared blue jeans, gold slip-on flats, a pale green cropped sweater and a gray tank underneath...casual Friday at work....gotta love it! today was JEANS DAY at work!! (i work in a school), and a purple ruffly sweater. love fridays!! skinny, hole-y jeans, long sleeve white t-shirt under a little brown dress/tunic with tiny blue polka dots and my fav brown boots. light ripped jeans, an orange scoop neck that I adore, dog hair from my new sheltie, Sampson, and a navy hoodie with a plaid heart. Oh, lovely! :) Cute prints! Today I ventured across the ocean (hah! just a little ways across...) on a little thrift-shop hunt & and the wind was chilly, so I wore my good ol favorite skull tee, dark dark skinnies, calf-high flat comfy leather boots, and my signature grey wool long coat to keep me warm. Cozy! Today I am wearing my lovely maternity jeans that stretch almost up to my armpits (aren't you jealous?) paired with a super comfy black and grey striped top, silver metalic Converse, and striped purple knee socks. Best-fitting jeans and black v-neck ribbed long-sleeved t with black velvety fitted jacket and handknit scarf. And self-designed, handmade jewelry. today i am wearing black skinny jeans, a white and black plaid button up with a blue tank peaking out of the bottom, and my trusty bronze converse. jeans, a new gray cardigan sweater (long and cozy! ), and a purple and silver striped tee with a black scarf around my neck. I'm wearing black flats, dark blue skinny jeans, and a black t-shirt with puffy sleeves. Today I wore my red skinny cords, a Harry and the Potters signed tee shirt, and my trusty green hoodie!!! oh and converse, cna't leave the house without them!! ahhhh! how fun! today is my saturday so it's lime green sweats, a notre dame t-shirt over a grey hoodie and purple wool socks warming my cold feet! cozy!